If you have read our Toilet Types article, you should know by now that there is no shortage when it comes to types of toilets; with an array of different features, there is something for everyone. Here we have listed the most important toilet brands and reviewed the top products for each one, so find the brand you are interested in and from there you can read the reviews for that brand. If you are looking for some of the top rated toilets you can check out our guide here. American Standard offers a combination of great quality and value for money. Even its top-of-the-range products beat the competition on price and there are two products from American Standard on our top 10 list. The company manages this by sticking to basic designs in a choice of three colors, with the best quality in every model. Its flushing system moves 70% more waste than the industry standard requires, using very little water. 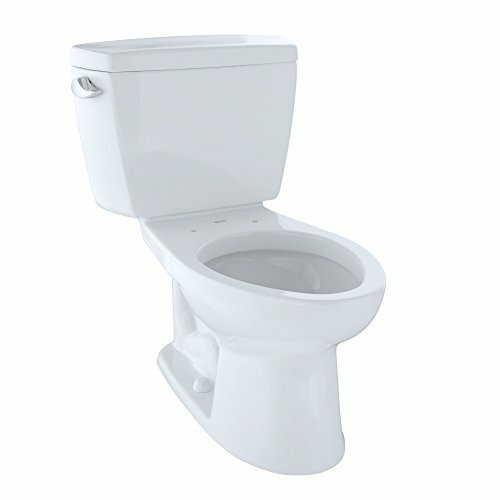 They also offer Right Height seating (chair-height toilet seating) and Speed Connect for easy installation. To top it off, American Standard backs its product with the longest warranty in the market. In 2015, American Standard was awarded “Brand Familiarity” by Builder magazine. Toto clearly leads the industry. Its products range in price from medium to high. Toto boasts one of the best customer support teams and offers the widest variety of models, some of which have almost futuristic designs and features. Toto has done a lot to ensure that its flushing systems are water-efficient. The double-cyclone and dual-flush systems ensure that products are water-efficient but powerful. The company designed the washlet—an innovative product that converts the toilet to a bidet with front and backwash. Kohler is the biggest toilet manufacturer, but only when the rest of the product line is factored in. Kohler is known for its Comfort Height toilets, which are two inches higher than the standard toilet. Kohler has concentrated on improving the washdown and siphonic flushing systems that clean the bowl with one flush, using 0.6 to 1.6 gallons of water per flush. Duravit has a great range of modern-looking toilets that boast open-rim flushing. Duravit toilets are also available with Sensowash technology, which converts the toilet to a bidet. Saniflo specializes in macerating toilets. These are specialized toilets that can be installed in areas where it would normally be impossible to install a toilet. A macerating toilet has a pump, which can drive the waste to the sewerage system; so, the toilet can be installed several feet away from the system.